Fly Mobile has announced the launch of its latest multimedia handset in the country. 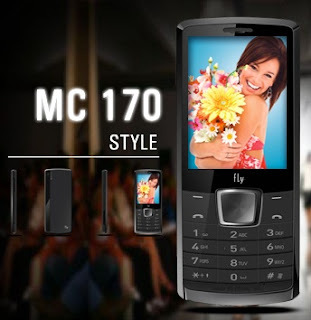 Known as the MC 170, the phone is a decently spec-ed multimedia capable device. The MC 170 is a candybar phone featuring a 2.4-inch display capable of 240*320 pixel resolution while displaying 262k colors. The MC 170 has a decent spec sheet that we will describe below. To start with, it features a 3 megapixel camera with support for video recording. The phone supports FM Radio and recording and comes with 87MB of internal memory and the memory can be extended using microSD cards of up to 8GB. It has a 1000mAH battery that offers a 10 hour talktime and a 250 hour standby time. The phone comes preloaded with applications like Fly Raashi for Astrology, Nimbuzz , Snaptu, Call Reject SMS and Mobile Tracker with Remote Control. It also supports Motion Sensor Games, thanks to a built in accelerometer. The MC 170 happens to be a single SIM phone and will set you back by Rs. 4,500.